SOLD…….this one is gone, one of my favorites that I have painted in watercolors. I JUST started this. 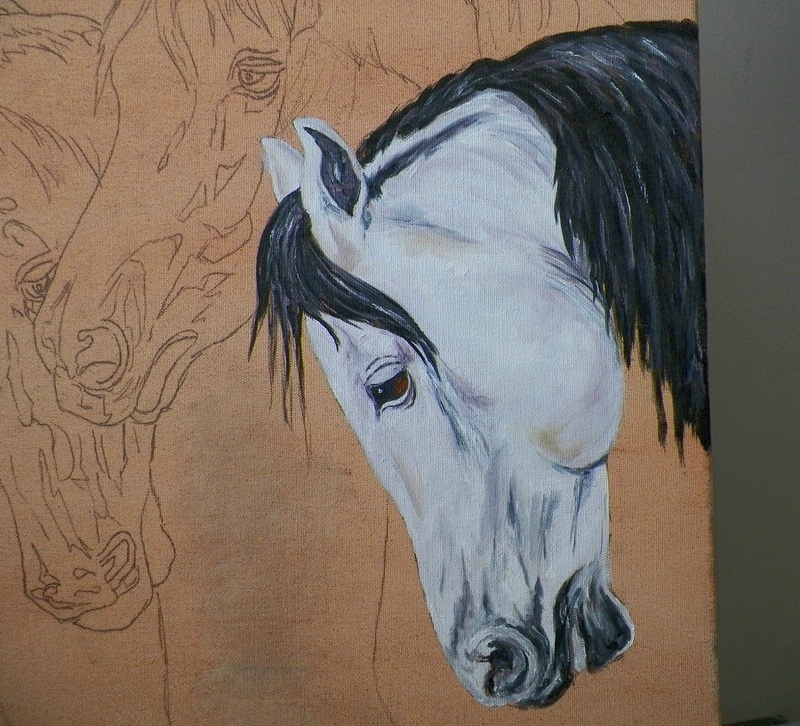 I will be sharing my Progress of this Oil Painting. Its Large 20″ x 20″ on stretched canvas. 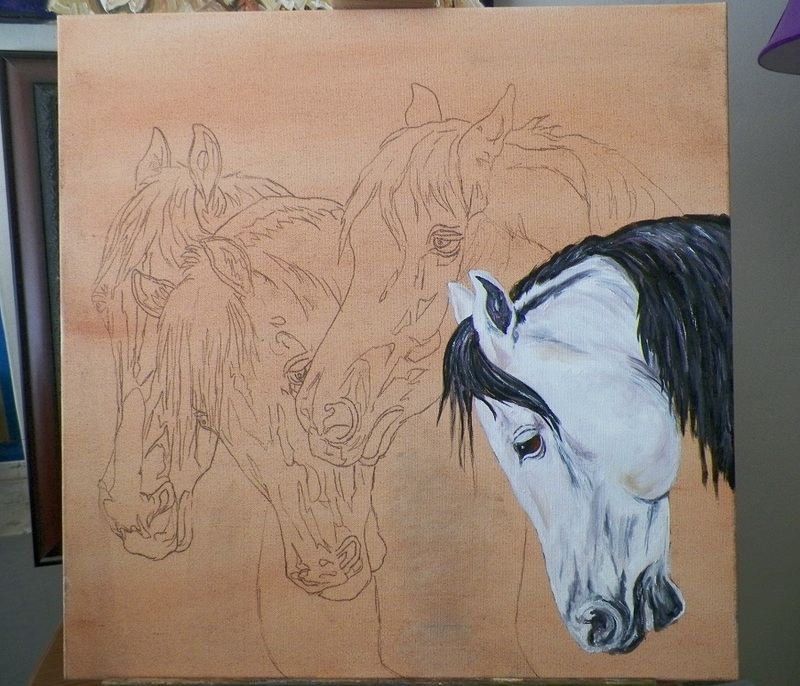 There will be 4 Horses, I am painting them in a Vintage Style. I usually start from the Right to Left, so this is a NEW direction for me. Lets see……. I have toned the canvas……. I have been keeping very busy lately, but I just had to fit making these adorable Sock Kitty Cats & Glove Bunny Rabbits! These are just some of the animals I have made from a Super Soft, Fuzzy & Silky socks and gloves. These are the sock Monkey BEST friends. I am going to make up some sock monkeys I think it will be fun to try. Magnolia above is handmade from Super Soft & Fuzzy Gloves to be a BEST Friend to a little one! Sweetpea is handmade from Fun & Coloful Gloves another Keepsake Sock & Glove Doll. Candy is a Fuzzy glove Bunny Rabbit. Looks like Cotton Candy hence the name! Mitchell & Michelle are my handmade sock kitties, friend to the sock Monkey. These are so adorable I am having so much fun making these for kids. If you see one you like email me I can make one up for You. Plenty of Creativity, this week I handsculpted my “humble” Tribute to the Beloved dog in soap & candle Molds I have made avaialble for my customers, at my website, www.sculpturesinsoap.com I have always said Dogs are All that is Good & Kind in the World, as I am sure allot of You agree. Here are a couple of my new designs to Honor our beloved dogs. For all of You Soap & Candle makers. It is my goal to design and create top designs that people will Love and Enjoy. Pieces that Inspire and Celebrate. Above Photograph Shows My Flicker Light Candle & Sold Candle I made from my Silicone Mold. I am including my custom handmade Holer/Adapter with this Unique Candle Design. This Design is one of my Favorites. Take a look at this Everlasting Candle Design, lit up in the Dark. Love this Tribute and Look. Hug Your dog, I am sure he will lick you back. I love this Theme and Design. I made a matching “In Dogs We Trust” Soap Bar Mold. See Photo Below. Soap Bar "In Dogs We Trust"
How fun this design will be for Dog Lovers. 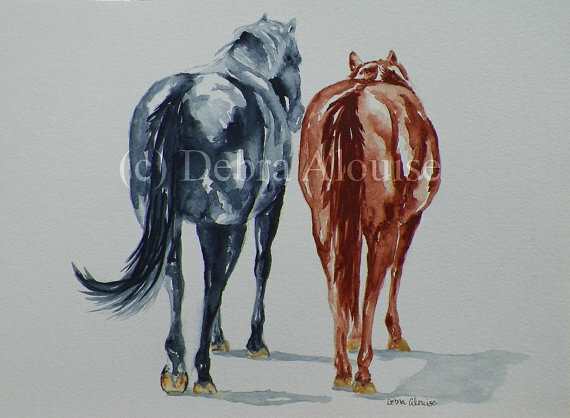 Another Project to get more Horses into peoples lives, is I have now made my Original Artwork available made up in Giclee Fine Art Prints. It is Stunning how Beautiful todays, technology can make these Fine Art prints look just like the Original oil painting. Now people can add Original Art into their lives at a affordable price. You can find My Giclee FIne Art Prints available at my website, www.GrandHorse.com These are Limited Edition prints. Here is just one of my Original oil paintings I am offering now in Giclee FIne Art Prints. NOTE: These are the photos I have taken, the Giclee Fine Art Prints are Professinally photographed and Professinally Printed. Looking into the Kind Nature of the Horse. This is a Powerful close up view captivating. This is the photograph I took, its clear and life like in person. I have specialize in eyes. 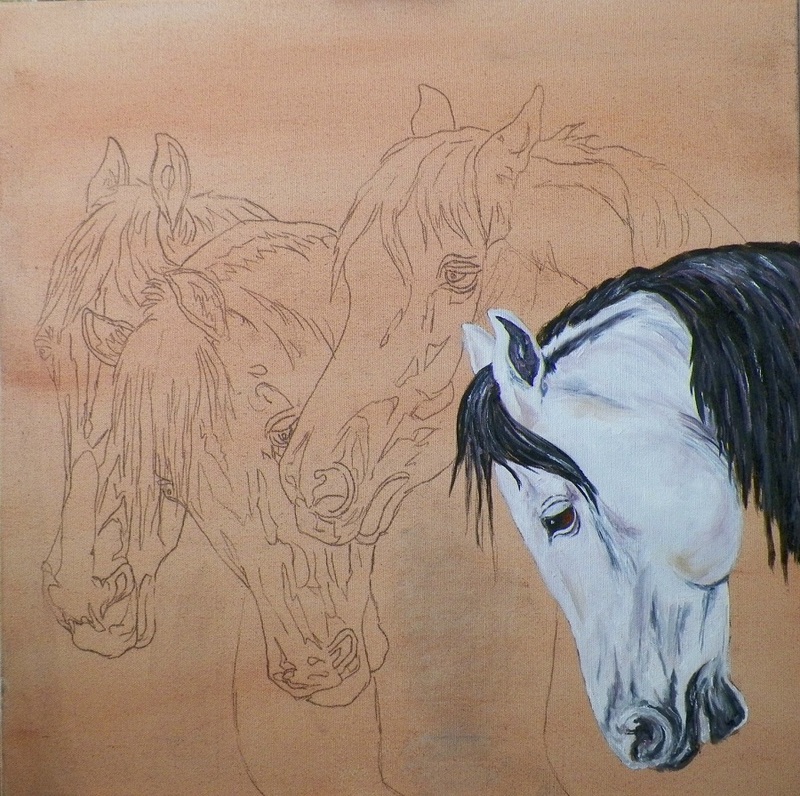 Honoring our Beloved Dogs, and sharing Horses thru my Original Art. Being Inspired. This is what I do……. Well……. like allot of You, I have been doing allot lately. Here are two Beloved English Mastiffs, I just finsihed and sent off to my Client. I Needle Felted these two boys. Both of these Wonderful Dogs have passed on, so this work I did for her was especially meaningful for me to work on. They came out nice and she Loved them both. Their names are Stryker, I made him sitting & Stone, he is a Brindle English Mastiff and he was made standing. I did allot of shading using the soft wool. I really tried for a realistic likeness of each dog. oh hey…….take a LOOK at “Pismo” on the chair with Stryker, he has gotten really BIG! scroll down you can see his baby, baby picture on one of my first Blog writings. “Pismo”” is now 18 week old. He was 7 weeks in the bottom Blog photo. Both of these are going to be a Christmas gift, for the owner of the dogs. My Client was so kind to get them such a thoughtful and meaningful Gift. I had allot of fun working on these. I wanted to capture each and every detail to Honor them and do them both Justice. Teddy Hilton, the Worlds Most Famous Gooldendoodle. Is Loved and Cared for by his daddy Perez Hilton. He is not the pulse of the Hottest Celebrity gossip BUT the Heart of it. And a Nice guy from my experience. I have Needle Felted his boy, Teddy Hilton. Perez says he LOVES it! Thank You Perez. Teddy was made from soft and shimmery Mohair Curlies. I tried my BEST to Capture Teddy’s sweetness and Happy personality for Perez. Perez was such a Nice person. As busy as he is he still did get back to me if I had a question. Teddy was so much fun to design and create. His soft curly coat, kissable muzzle. I used glass eyes. wire armiture. His nose is needle fetled. Shading to make him even more Life Like. I can Make A Likeness of Your dog or pet for you. See my website: www.GrandHorse.com click on the drop down box, “My Handmade Soft Wool Pets” to order and also see additional “Fuzz Puppy” & “Fuzz Pets” I have made. From Horses, dogs, bunnies, sheep and more. Needle fetling creates a little bit of magic, by using a shap barbed Needle and poking the soft raw wool hundreds and hundreds of times to shape, create and design these adorable collectibles. This is “What Debra does”……. Another Baby Corgi, is born. Here is my latest handmade “Fuzz Puppy”. He is so cute in person! I needle felted his deep dark puppy dog eyes. What to do today…….What is “Pismo” going to allow time for me to do today!